Oak is a hardwood that shows a light to medium brown heartwood. Oaks sapwood is well defined being nearly white. The smoking process enhances the natural contrast of the wood making possible innovative wood surfaces. Thanks to this, CHANNEL VENEERS is able to offer a classical but sophisticated Oak wood surface. In the warehouse of CHANNEL VENEERS customers can see selected logs of Oak. Therefore, wide bundles of veneers and full lengths over 3.10 meters are available at the company facilities. Also decorative effects such as contrasted sapwood, rustic selected veneers and knotty surfaces are available. Knotty logs are usually crown cut while the smoking process takes advantage of sapwood. Therefore this product is offered without squaring: showing the original profile of the tree. 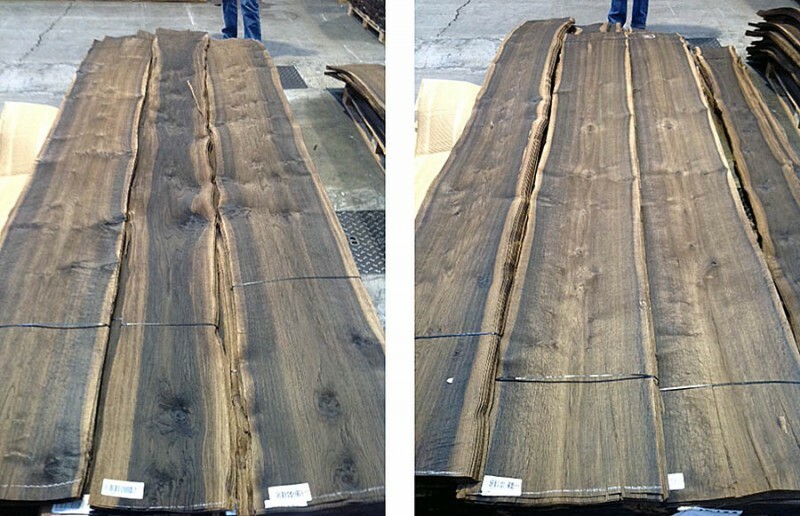 For further information related to this veneer or any other Oak wood surface, please contact directly with the company.